Lawyer Georgina Hernandez, Robredo’s spokesperson, said that the Leni Robredo will not interfere on Bongbong Marcos’ cabinet appointment since it is the president’s call. This is contrary to her earlier pronouncements that contribute to her decreasing popularity rating. 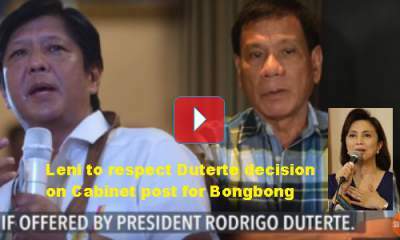 [VIDEO]: Former senator Ferdinand “Bongbong” Marcos Jr said he would accept a Cabinet post if offered by the President. The former senator who is under an election one year ban can assume any appointed post after May of 2017. 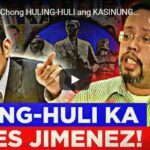 Hernandez said that the administration should at least consider the credibility of its appointees – but this is her own opinion as an avid Robredo supporter who would do anything to discredit their opponents. Since last year, the Department of Interior and Local Government post for Marcos was already a talk of the town. Interior Secretary Ismael Sueno was even open about it and gracious enough to pave the way for Marcos. Then he got fired allegedly for corruption. Many have speculated that Sueno is the mere scapegoat and all these happenings are staged for the comeback of Marcos. 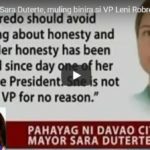 Robredo once said that it scares her that Marcos can be DILG Secretary since he would have a chance again to do what his family allegedly did during martial law. She is obviously referring to the debatable human rights violations and not the economic progress officiated by the late president Ferdinand E. Marcos. 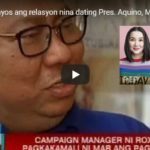 The members of the Robredo camp either needs to be educated as far as history is concerned or stop to propagate false information that they themselves end up believing. However, official documentations prove that their attacks to the Marcoses are made up by their own party.